Recorded Live at Nakano Sun Plaza, Tokyo, Japan - November 18, 1980. Mr. Peach's excellent Audience Recording :: Silver CD :: FLossless FLAC. Files: 14.:: Size: 545.04 MB (mp3)| MB (flac). Personnel: Ronnie James Dio – Vocals / Tony Iommi – Guitar / Geezer Butler – Bass / Vinny Appice – Drums / Geoff Nicholls – Keyboards . 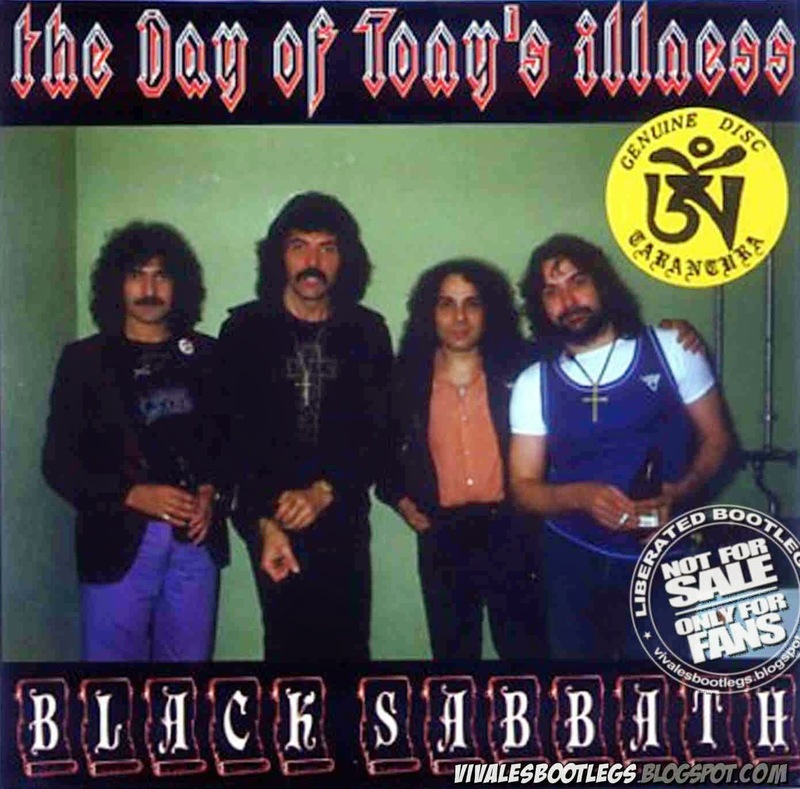 Notes: Ripped from "The Day Of Tony's Illness" silver CD, released by Tarantula label, TCDBS-9. Recorded by Mr. Peach (audience), produced by Mallochio Yamamoto, mastered by Overlook Studio. This was an abbreviated show because Tony became “sick” during the concert. We know this because of the announcements in both English and Japanese after “Iron Man” stumbled to a finish. Only Tarantura contains those announcements, which are missing from the no-label release that may otherwise leave a listener wondering about the rest of concert because of the set lists during this 1980 tour of Japan. Lineage: Tarantula label silver CD > EAC > TLH (FLAC level 8).